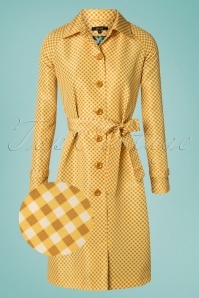 Style icons like Marilyn Monroe, Audrey Hepburn and Brigitte Bardot all wore their trench coat very stylishly. 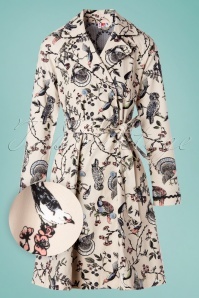 This inspired us for a collection of womens trench coats that we think you’ll really enjoy wearing! So vintage, so classy and so elegant. The trench coat was originally designed to protect us from the rain, but by now we feel like we should wear these coats whenever we can! Combined with sunglasses, gloves and retro shoes it really gives you a bit of that mysterious look. 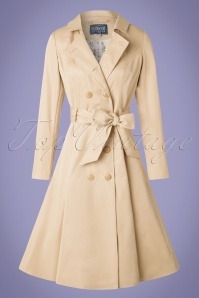 The classic trench coat is beige with brown buttons and has a very feminine fit because of the collar, waistband and the wide lower part. 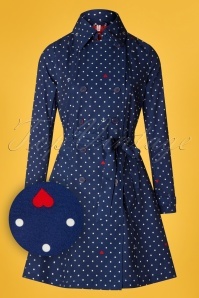 This design is timeless and goes well with almost every outfit! 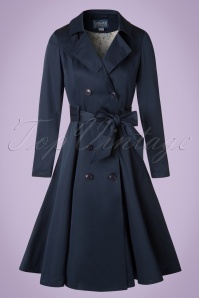 If you love the retro-chic look as much as we do, we definitely recommend having a good vintage trench coat in your wardrobe so that you can wear it whenever you like. 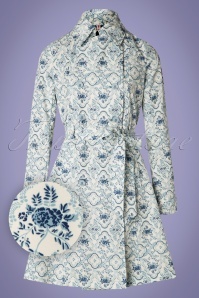 Because wearing this coat makes you want to go outside, even if it rains! But wait, there’s more. 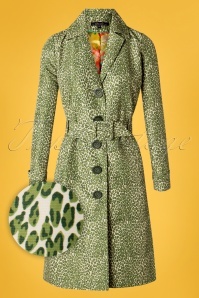 Not only do we have beige ones, we also found trench coats in different prints and colours, which we think are fantastic! A subtle difference from the original design, but without losing the classic feeling of wearing a retro trench coat! 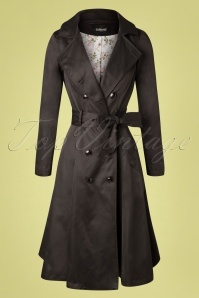 Found your perfect trench coat in our boutique? Then we’ll send you your new item as fast and secure as possible. In case you’re not sure which size is best for you, take a look at our Sizes and Fit page. 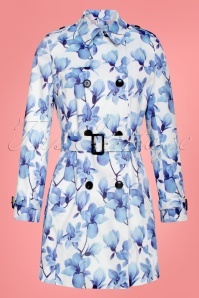 This way you’ll be sure that your new trench will be the right one for you. Can’t wait to start singing in the rain? 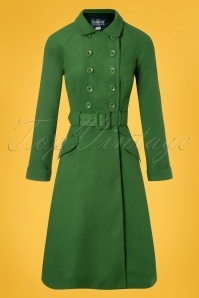 Get one of our great vintage trench coats!